Book A Limo For Your Night Out on the Town At The Best Price And Make It An Exceptional Experience! Dining, wining, cruising downtown, bar hopping, let us help you paint the town in one of our Montreal limousines. Wherever your destination is, we will get you where you want in our limousines or party buses. We specialize in party style limos for your night out in town and are available to make your night a blast! Our Montreal limo services are top of the line and VIP all the way. In town experience is our specialty. We want you to have the wildest party time in our limos and so we can offer to show you all the hot spots in town, and drop you door to door to any venue that you choose. City Night Life. Crescent, Old Montreal, Saint-Laurent, Griffin town... just to name a few of the hot night party spots in the city. Our services are VIP all the way. VIP treatment. Whether you are bar hopping, touring downtown, or taking your loved ones for a special night out, you are our number one, that's our promise. Our party limos are Hot Hot Hot! 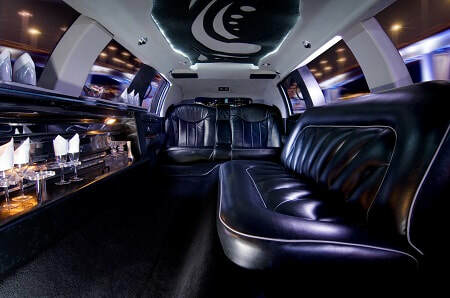 that is what you will look and feel in any of our limousines. All group sizes. Be it alone or with a big group, we will find the right limos that will rock your night. Limo to impress. Our limousine Montreal services and rentals are the best. We Dress to impress and we will take care of wowing the rest. Our drivers will be driving you around with sleek outfits, opening closing doors for you, and impressing you and anyone you want with first class luxury. We want you to enjoy your night and not worry about booking hassles and all that comes with it. Our company is easy to deal with and booking rental is a breeze. "Montrealers" love a night out in the city and love using our limos for that, we've been rated with excellence and proud to serve anyone from or out of town. We go the extra distance even if you are out far and need us to get there. How about if you are from out of town and looking for a fun night? No worries, our licensed chauffeurs are more than glad to make suggestions, drive you to touristic destinations, recommend best restaurants in town, entertainment venues, and clubs. Ask us about all our available limo service packages and how we can help you plan the night as you envision it and within your budget.